As a breeder we want to offer our adoptive homes a puppy that we knew would live up to the standards the public is reading and hearing about. 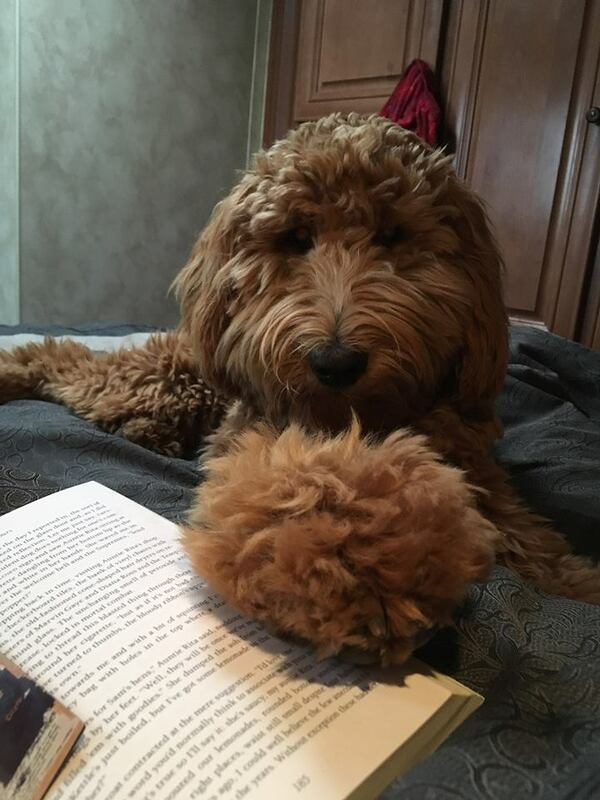 The Australian Labradoodle has received a lot of media attention, and rightfully so. It is a new breed, the dogs being used as dams and sires are health tested for genetic soundness. The health of the dogs is at the forefront with the Australian Labradoodle. We Choose the Multigeneration Australian Labradoodle as we knew there had been years of research which evolved into the allergy and asthma friendly, low to non-shedding dog now known as the Australian Labradoodle. The breed is not just a cross between a Labrador and a Poodle. Generations of dogs were bred, only the allergy and asthma friendly dogs from the beginning litters were used as dams and sires, passing on the traits needed to form this wonderful breed. Through much research the Multigeneration Australian Labradoodle consistently offers the coat type and the temperament that makes these dogs so exceptional. The breed began development in the late 1980’s by Wally Conran for the Royal Guide Dogs in Victoria, Australia. He was to create a guide dog that would be allergy and asthma friendly. He started with the Labrador Retriever and the Poodle, as he felt this would make an excellent mix for the temperament needed to be a good guide dog, along with the attributes of the Poodle’s coat. Two research centers in Australia continued the development of the Multigeneration Australian Labradoodle. After many years of selective breeding and careful research Tegan Park Breeding and Research Center and Rutland Manor have developed the breed everyone is so exited about. The Irish Water Spaniel and the English and American Cocker Spaniels were brought into the mix to bring qualities the research centers felt were needed to create a breed that would be allergy and asthma friendly, low to non-shedding, highly intelligent and easily trained. These dogs live only to please their owners, having excellent health, fantastic temperaments, and service qualities. Because the Breeding and Research Centers and other responsible breeders have put so much time and effort into developing the Muitlgeneration Australian Labradoodle, we are confident our puppies are well rounded with good health, intelligence, and low to non-shedding coats. 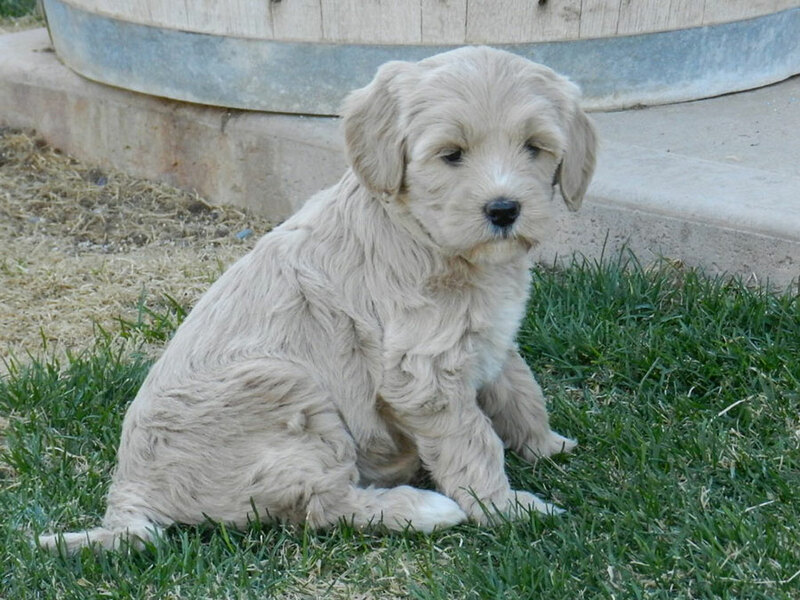 At Puppy Patch Labradoodles we are thrilled to be able to offer puppies to families with allergies and asthma. It has been a huge pleasure to offer puppies to homes that have made the decision to adopt the most wonderful family companion….a puppy! A Labradoodle is a cross between a Labrador Retriever and a Poodle. This cross produces the perfect family pet especially for allergy sufferers (F1b or higher). First generation Labradoodle (F1): is the offspring of a Labrador Retriever and a Poodle (50% Lab/50% Poodle). Backcross F1b: is the offspring of a F1 Labradoodle and a Poodle. Multigen: is the offspring of a Labradoodle and a Labradoodle (sometimes bred back to a poodle to correct coat) Never a F1 to a F1 because their offspring is quite unpredictable. What sizes do the Australian Labradoodles come in? When determining size, it is important to focus on the height rather than weight because weight could vary greatly due to diet whereas height remains the same at maturity. 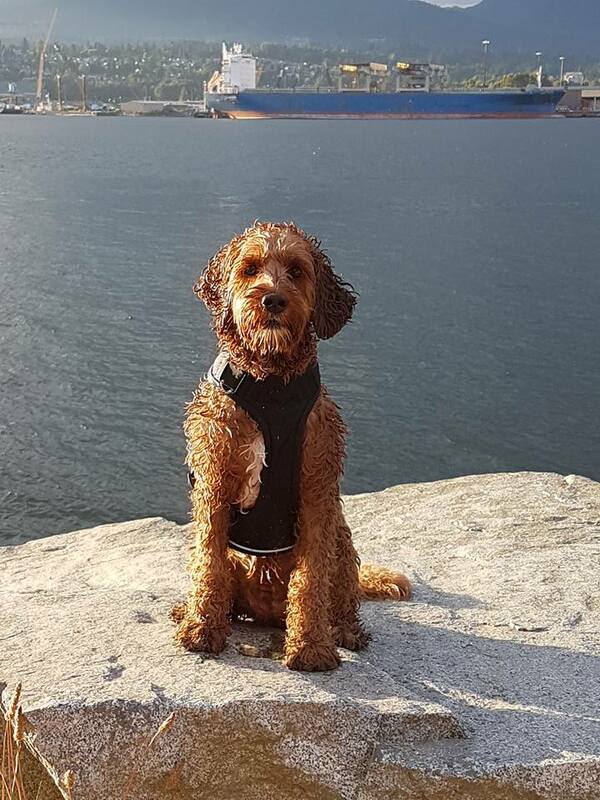 What types of coats can Australian Labradoodles have? Fleece: Wavy curls, soft curls or spirals. Very silky to touch. Should be non-shedding and allergy friendly. Wool: Loose curls that are often very soft. They can be a little course like a poodle coat. Always non-shedding and is the most allergy friendly. Flat Hair: Similar to the Lab coat. Lightly shedding. This coat is very rare in an Australian Labradoodle. What makes the Australian Labradoodles allergy friendly? The single most common irritant to a person who has allergies is dander. Dander is composed of tiny microscopic skin cells released from the body and every time an individual hair dies and is released from the follicle millions of cells are released with it. When you realize just how many millions of hairs that die and grow every minute of a dog’s life it is easy to understand why shedding dogs are impossible to live with if you are an allergy sufferer. Many people are not actually allergic to the dog itself but the added stress to their system of dander is more than they can tolerate. In some cases it can be life threatening. The lack of shedding and therefore lack of excessive dander in the Australian Labradoodle has had a very positive impact on people who have previously not been able to live with a dog. Unfortunately, there has never been any funding on offer to be able to research the Australian Labradoodle fiber, so information has come directly from the practical field. The success rate has been consistent and astounding. Saliva allergies are more often related to people who are actually allergic to dogs, this is an entirely different situation where there are several questions we are unable to answer without proper research. All we can say is it is a mystery time and time again, we have been presented with people who are allergic to dogs they report itchy eyes, itchy skin and skin rashes even when reacting with other non-shedding dogs like the famous Poodle. Many have visited with an Australian Labradoodle and reported no reaction, even after several visits. Some have reported slight discomfort for the first one to two weeks of their new Australian Labradoodle puppy entering their home and after being advised to limit contact for a few days and allow their systems to build up a tolerance have gone on to report many happy years of Australian Labradoodle ownership. We do not have answers to this wonderful anomaly, but the Australian Labradoodle does appear to be allergy friendly to many people. This does not mean that all people will be able to live with an Australian Labradoodle, and if you have severe allergies you need to do your homework and take part in several test meetings before bringing a dog into your home especially if the sufferer is a child. What personality traits do Australian Labradoodles have?